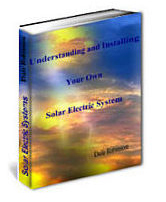 Understanding and Installing Your Own Solar Electric System is an electronic book that provides the average home owner with the basic knowledge of how solar powered electric systems work and the relationship the various components have to each other. With this e-book, any person with average handyman skills should have no problems installing and maintaining their own solar electric system. Even if you plan to have someone else install your system, at the very least this e-book will give you the necessary background and understanding of solar electric systems so that you will gave a good idea what your installer is doing and whether he is doing a competent job. Once your system is installed, this e-book will continue to be invaluable as you go about the day to day maintenance of your system. HOW TO BUILD YOUR ELEGANT HOME WITH STRAW BALES The How-To Video you have been waiting for. This 90-minute video by Sustainable Systems Support comes with a booklet containing drawings, a summary of the items covered in the video, & a sample of available plans. (The booklet is available without the video for $15). A comprehensive how-to covering the different phases of construction including design, foundation, bale wall raising, roof, electrical, plastering & more. Good basics, somewhat outdated, but probably best available. This book has been around for a long time. When it first came out, in 1987, it was the best book available. Unfortunately, it has not been updated since then, even though it has been reprinted several times. It has excellent basics for planning and designing a system, but much of the technology illustrated is outdated. With an update, this could be the best book in the field. Marty Gross says the Roof is “The PhD of Homebuilding”, and he lays out all the details for making your own roof. The text on roof framing each type- Dutch-gambrel-hip-jack-shed-gazebo and others are ell-supported with more than 400 drawings and diagrams. He introduces some very useful concepts, such as theoretical lengths and height-above-plate, and he encourages the solution to roof calculation problems by means of a trig calculato. This is the complete guide to framing any gable, Dutch, Tudor, California, gambrel, shed or gazebo roof — including irregular roofs that can stump even experienced roof cutters. The author takes you through every measurement and every cut on each type of roof — so you understand exactly what’s required. He actually builds a model of each roof described, and recommends that you do the same.With this manual you aren’t restricted to rafter lengths and pitches listed in those rafter tables that roof cutters have struggled with for years. 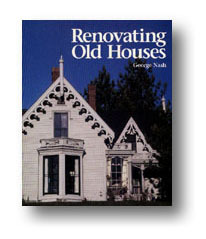 Instead, the author explains how to use an inexpensive hand-held calculator to figure any common, hip, valley or jack rafter in seconds — including rafters on irregular roofs and rafter pitches that aren’t in any rafter table.Anyone who knows the methods described in this practical manual should have no trouble making a good living as a master roof cutter.